Pandawa Beach is the perfect place for those who do not like crowds during the holidays. 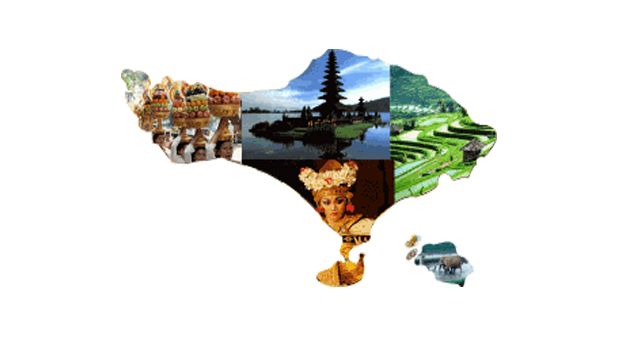 tourist spots in Bali are still fairly new and not as busy as Kuta Beach, Legian Beach, and Seminyak Beach. This tourist spot is formerly known as Secret Beach because of its location on the high limestone cliffs, so not many people are aware of its existence. 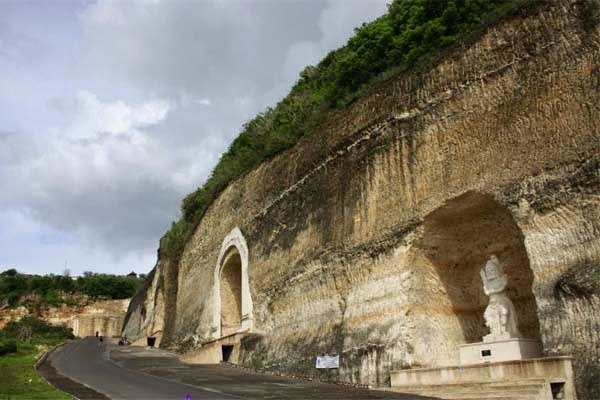 Now, the local government has opened access to make your way along the 1.5 km splitting limestone cliffs. The name is derived from the tourist attractions there are five statues of the Pandavas, in Hindu legend, which overlooks the beach. 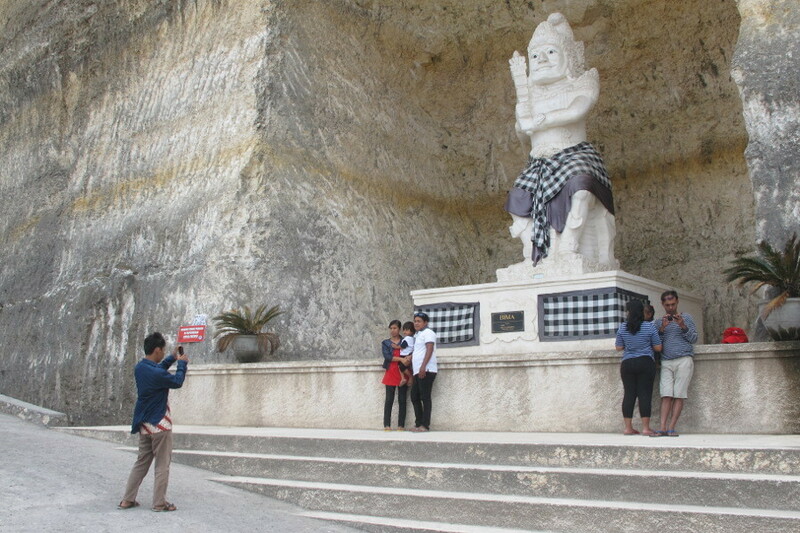 In the limestone cliffs make a hole to put the five Pandavas sculpture, which consists of Yudhisthira, Bima, Arjuna and the twins Nakula - Sadewa. Tourist attractions are also called Kutuh beach coast has beautiful beaches that are not less than the other beaches in Bali. White sand and turquoise waters make people linger to enjoy sitting in rows of chairs on this beach. If the Kuta Beach is known for its sunset views, beaches facing east have a view of the sunrise reliable. Not infrequently, from here you can see tourists who paragliding from Mount Timbis, flew past on the beach. Every year Pandawa Beach used as the location for the ceremony Melasti which is a memorial service in a series of Nyepi. Melasti ceremony intended to rid itself of any wrongdoing and bad things in the past. Additionally, in the coastal areas also include seaweed farming activities carried out by local fishermen. The range of this beach is about 1 kilometer, with bounded by limestone cliffs make this beach very attractive to domestic tourists. The road to the coast in the asphalt, parking lots are also available. If you visit this beach, with families and children. No need to bring their own food and drinks. On this beach, lots of food stalls selling fried rice, fried noodles, grilled seafood and some kinds of Western food. If you want to sunbathe on this beach, food stalls here provides loungers with umbrellas that you can rent. Want to try the foot reflection? 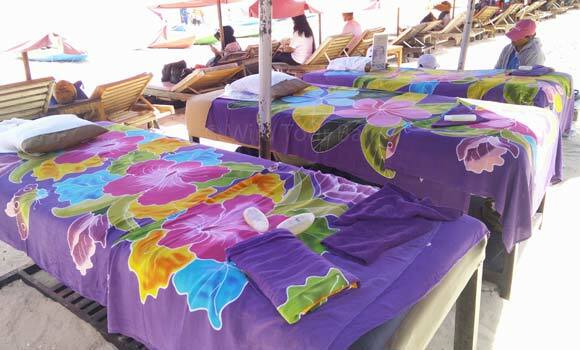 On the beach services provided reflexology, the name of his massage Pandawa SPA. 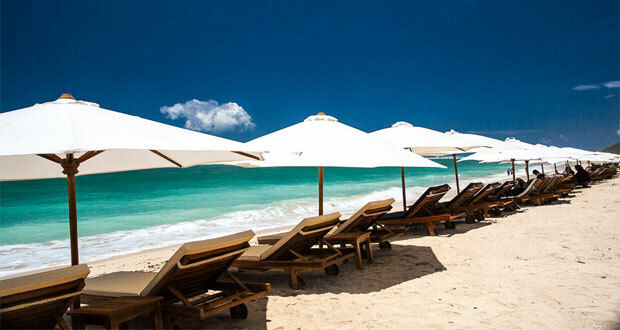 You can also sunbathe while enjoying beautiful beaches with clean white sand. Pandavas along the beach, lots of chairs equipped with umbrellas lined up for rent for those who want to sunbathe. The waves on the Pandawa beach are very suitable and attractive to conquer through the surf. 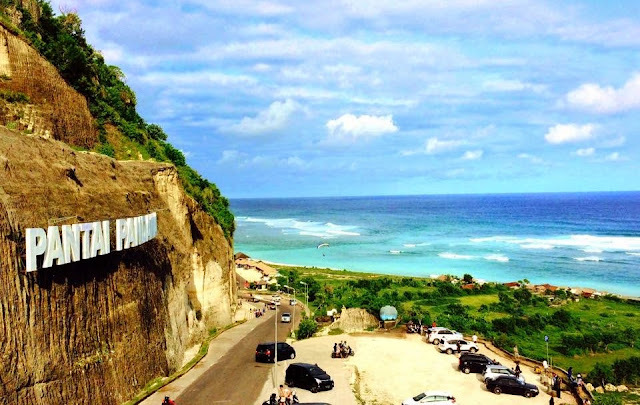 In fact, according to local residents, the disclosure of the existence of the Pandawa Beach is also not free from tourists who previously often carry a surfboard and go explore this path to Pandawa Beach. Many people wonder why they struggle past limestone cliffs with a surfboard. From now on the coast where the Pandawa Beach have known a lot of people today. If you are not satisfied if only to enjoy the beauty of the white sands of the Pandavas, you can have another option that sailed into the sea. On the Pandawa Beach, paddle boats that are widely available that you can rent at Rp15.000,00 price.And do not miss out on all the rental lifebelt with Rp10,000.00 price as part of security and safety.